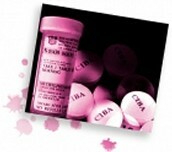 Effects of Stimulants can be very bad when they are taken for the wrong reason. For example some stimulants are prescription drugs that are used for disorders and weight problems. For example Adderall, and Ritalin, which are taken for attention disorders. Often these are taken not for the reason to get high, but for their prescribed reason, but not in the right dose or the right way. After using them, they can lead to depression or insomnia. Most of these drugs are in the form of pills or maybe a medicinal drink that are used for diagnosed sicknesses. 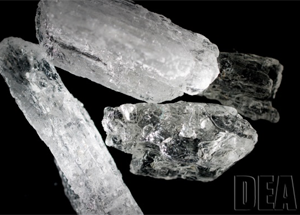 Some come in a crystalline form, like methamphetamines. 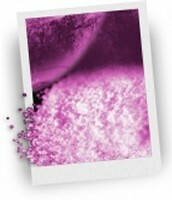 Also there are powder forms like cocaine and pills can be ground up to be a snort-able powder. Since there are so many different types of Stimulants, there are also many different types of names for it. For example, there are street drug stimulants, and prescription drug stimulants. Because Stimulants are such a broad type of drug, there are many different harmful effects. For example, prescription drugs can cause depression, or brain damage, when taken in wrong doses. Also, cocaine can cause brain damage and death from heart attacks and strokes. Next, P.C.P, can cause extreme hallucinations and urges of violence and aggression. Lastly, methamphetamines can cause serious body damage. They can cause loss of fingernails, teeth, hair and body parts. They can destroy internal organs and can easily kill people. The people that are most at risk for using these types of drugs are teenagers. This is because they are very afraid to be different and when some have trouble focusing, they have a lot of stress, which they take drugs for, to relax. They also may believe that they have the disorders that call for using these drugs. They may use these pills, for the right reasons, but in the wrong way or dosage. There are many reasons that teens do drugs. For example, some of the most common reasons are because of pressure from friends, and also wanting to fit in with other people. Also, many teenagers who are under a lot of stress take drugs to try and relax, even though they can have the opposite effect. Also, a less common reason is to just want to feel better or try the feeling of being on drugs. There are a few easy ways to prevent doing drugs and being able to refuse drugs. Some of the easiest ways is to stop being around people who do drugs, or are likely to do drugs. Also, you can just avoid drugs and strengthen you will to say no. When you know a person is using drugs, it is sometimes hard to do something, when you are a teen. Because you may not want them to get in trouble, you may not tell an adult. Also, you may feel that you don't have the resources to get them to stop or don't feel that they will care if you confront them about it. The best way to get them to stop using drugs is to tell an adult who will help, or to confront them seriously.